The “Today” Show and MSNBC Anchor (and Temple University grad) is being honored by the Lutheran Settlement House with a Women of Courage Award on Friday. For those who have survived domestic violence, talking to others about your experience, especially on national television, requires a certain amount of courage. It helps, however, if the person who asked you to share your truth with the nation is someone who has an understanding of what you’ve survived. As part of a “Today” Show segment called “Shine A Light”, Tamron Hall, co-anchor for NBC’s “Today” Show invited a group of asked a group of women to share their stories of surviving domestic violence. These women were from Philadelphia’s Lutheran Settlement House and in addition to appearing on “Today”, the women will also be filming a public service announcement on domestic violence with Hall. On Friday, NBC-10 Anchor Renee Chenault-Fattah will present Hall with the Lutheran Settlement House’s Women of Courage Award for her work in sharing the stories of survivors of domestic violence. Past winners of the award include iHeart Radio’s Lorraine Ballard-Morrill, Aria Health CEO Kathleen Kinslow and Lisa Nutter, the city’s First Lady. This is the 10th year for the Women of Courage Awards, which will be held at the DoubleTree Center City Hotel on Friday at 8:30 AM This is the Lutheran Settlement House’s largest annual fundraising event and has raised $100,000 over the last two years to provide clothing, food and counseling to homeless and abused women. 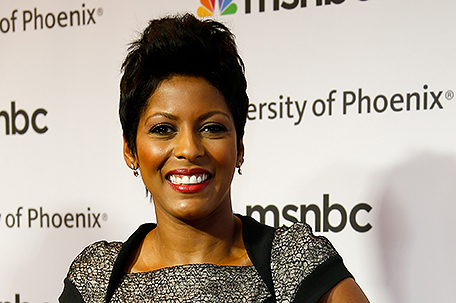 The SUN caught up with Tamron Hall and talked to her about being a Woman of Courage, the importance of good storytelling and why there is no such thing as a “favorite” story for most reporters. SUN: Thank you for taking the time with us today, Tamron. You’re being honored with the Women of Courage award from the Lutheran Settlement House. How did you connect with them? Tamron Hall: I connected with them through the “Today” Show, we have the “Shine a Light” segment where we pick a project to focus on that will make a difference in the lives of others. I have done a lot of work on domestic violence awareness and we wanted to have survivors speak to the challenges of what they’ve faced, their fears and what are their lives like now. Some of the featured were from the Lutheran Settlement House. SUN: What did you learn from doing this project about Domestic Violence and the women who have survived it that you didn’t already know? TH: I’m not a survivor of domestic violence, so every time one of these brave women talks to me, I learn something. I would never presume or assume that I know about surviving something so horrific. So every time that I have an opportunity to speak with the survivors or their family members, I learn something. SUN: How much time goes into a project like this? TH: I worked with a team of people. I’ve been doing work with domestic violence awareness organizations for years now since the passing of my sister. And I work a lot with Safe Horizons and groups that are based here in New York. With my producers, along with an organization called Day One, they were able to locate these women through shelters and other groups they were affiliated with. And the women came here. So my producers did research on their cases and many of them had spoken out in the past, so we were able to kind of track their stories through stories that have been done on them. They’ve all survived. And they’re not just focused on their lives, they’re focused on the lives of others. So I had a team of producers as well as people who were on the ground each and every day at shelters and who worked at other organizations that provide legal assistance and life assistance to survivors who found these great women and introduced me to them. We’ve all been getting to know each other for over a year now. SUN: So this is an ongoing project? TH: Yes, this is a continuing project. The ultimate goal is to create a [public service announcement] featuring these women that hopefully we can air one day in schools for middle school and high school aged young men and women. SUN: You’ve reported on a great many things in your career. Do you have a “favorite” story? TH: I’m 44 and I’ve been a reporter for 20 years. So, no, there’s no “favorite” per se. Each story that you encounter as a journalist I think in some way lives with you. Whether it be when I was a reporter in the streets of Chicago and Dallas covering gang violence to being on the “Today” Show and the capacity that I’m in on that show every day. So there’s not a “favorite” story. As a journalist, you can’t look at it that way. I’ve covered loss of life, but I’ve also covered celebrations and inspirational things. It’s not like I’m a musician creating a song. I’m telling the stories of people. I’m reporting the news. 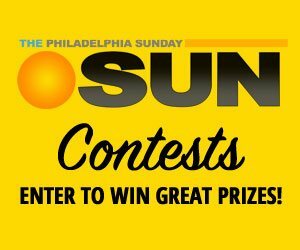 SUN: Most people who have been following your career know that you have a Philadelphia connection in that you went to Temple University. Can you talk a little bit about how spending time in North Philadelphia at Temple has influenced your career, if at all? TH: I had a tremendous Temple experience. I’m from Texas. So the journey to the city for me was an eye-opening experience. I’m from a small town in Texas and grew up very conservative with a Mom and Dad that didn’t even want me to sleep over anyone else’s home for fear of my safety. And coming to Philadelphia and being in this huge urban environment at a time in the 90s when there was an economic downturn where people were struggling to make ends meet and the crime was high in North Philadelphia, here was this incredible university in the middle of it all providing this great opportunity that I didn’t take for granted. It was just a reminder day in and day out to leave the college campus and see the “real world”. It gave me great perspective and it never allowed me to forget what a blessing and what an opportunity that I was being afforded to be able to go to college. Yes, I had student loans and you leave with debt. But it still gave me something that people I cross paths with every day who wish that they had a chance to experience. SUN: Now, you’ve on the “Today” Show. But you also anchor the program “News Nation” on MSNBC, which is considered more of a news program…. TH: I think that the argument could be made that the “Today” Show is a news program. We cover a number of things and we have fun, but our priority, as is the case with MSNBC, is news. In fact, I would argue that Matt Lauer is one of the top news anchors in the country. It’s a blend of both, and we do have the ability to have fun and bring in musical guests, but our focus on the “Today” Show as is the focus on MSNBC, has been news. SUN: I recently had a student I’ve been mentoring ask me for advice about going into the journalism business. With all of the changes that have taken place and all of the turmoil that’s been going on with it, what advice would you give them? TH: I feel like, just in general, it’s a matter of hard work and study. I would say that yes, there’s turmoil in the world of journalism, but there’s turmoil in the world. My Dad was in the military for 30 years. There are people right now who are looking at the economy and seeing that we’re in an economic turnaround, but people still don’t have confidence in the economy. There’s turmoil in general. So I think that in general the advice would be focus, hard work…I know that sounds cliché’, but it is the truth. And it is ultimately what does pay off. So I don’t think that we as journalists are experiencing any more turmoil than anyone else. Our cross to bear is nowhere close to what we report on every day. If you believe it’s your calling and it’s what you want to be and what you want to do, the odds don’t matter. You can’t approach anything looking at how hard it is. SUN: Thanks a lot for your time Tamron. I really appreciate it.